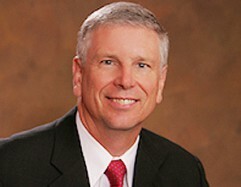 Jon Saunders has practiced law since 1986. He grew up in Bird Island, Minnesota and attended college at St. Olaf College in Northfield, Minnesota. He is a 1986 graduate of the University of North Dakota Law School. His practice focuses on commercial litigation and complex financial family law and probate litigation cases. He is also the city attorney for the Cities of Renville, Hector and Bird Island, handling their personnel issues, business enterprise and other civil needs. Jon receives extensive referrals from area accountants in commercial matters, such as business entity creation, business planning, business succession and estate planning. He is also licensed by the State of Minnesota to issue title insurance. He is a past President of the Kandiyohi Bar Association and the current legislative committee chair of the 12th District Bar Association, serving in that post continuously for the past 18 years. He currently serves on the board of United Minnesota Legal Services. Jon is married and has three children. He is an active member of Willmar Sertoma, currently serves on the Willmar Chamber GROW Minnesota committee and has been the Secretary of the Bird Island Civic and Commerce for more than two decades. He currently chairs the Membership Committee at the Willmar United Methodist Church and is a youth group leader. He is a past recipient of Willmar’s Distinguished Service Award.